Italian version for TOOLKIT has been published. 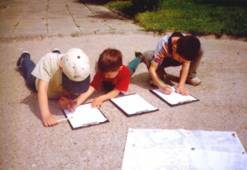 The project involved series of meetings, lectures and workshops for local schools, kindergartens and the community park of the City of Plock in Poland. 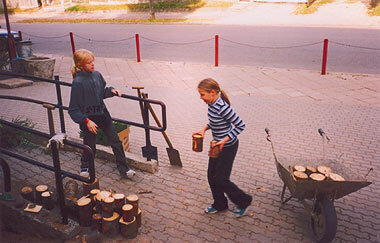 The main goal was that children improve their everyday surroundings. Architectural workshops were parallel to theatrical ones. Through group work, solutions and design ideas were explored. Through illustrated presentations, the participants were introduced to issues of architecture, local environments and their histories. It was important for the working teams to prove, that changes are both necessary and possible. The event was supported by the public-private partnership "Forum for Plock". Projects expressed diversity of local contexts. The two schools are located in the city centre and in the housing area of the 60-ties and 70-ties, one - in a little nearby town. 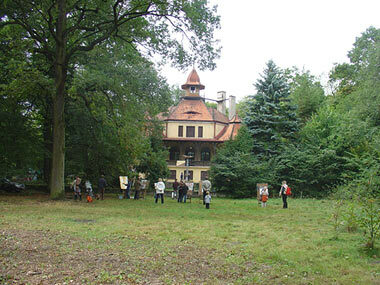 The kindergartens - in the forest and in the middle of the dense housing area. The community park - at the busy street junction. Children started to bring their ideas into reality through construction of parts of selected projects - the playgroud area (Red Indian village) in the kindergarten forest, an amphitheatre in the garden. The project involved over 100 children, aged 5 to16. 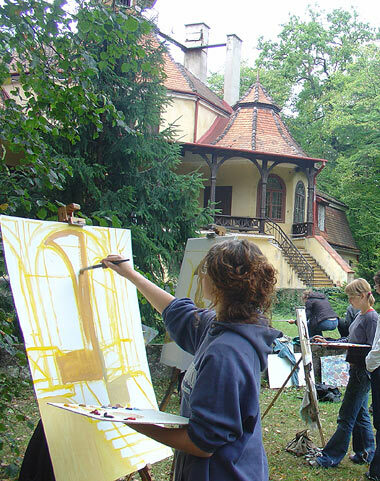 It was tutored by architect Dariusz Smiechowski, art historian Zofia Bisiak and theatre instructor Roma Ludwicka from the Youth Culture House in Plock who was the main organiser. Young architects joined the project. 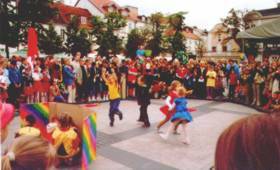 Final presentation of 7 groups took place in the City Market Square. Theatre, music and dance programmes depicted the character of each project. The final exhibition opened at the City Hall. It was visited by city inhabitants and authorities. 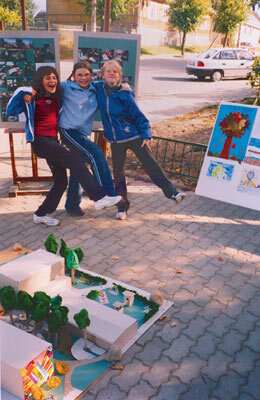 Project at the Sports Primary School and the Sports Secondary School in Suprasl. To raise the consciousness of today's and future users and co-authors of the built environment through: including architecture in learning activities (lessons and afternoon work); showing chosen examples of local architecture against a background of other cultures; teaching selected ideas, design and presentation techniques; exercising perception and conceptual approaches; proving that participation in positive changes in the built environment is possible; encouraging young people to transfer experiences to own homes. Students from class V of primary to II of secondary school, teachers, representative of the town authorities, Dariusz Smiechowski (leader) - architect, Zofia Bisiak - art historian; with the help of firemen and other volunteers. Seven interdisciplinary lessons (with different groups) connecting architecture with specific features of the immediate surroundings and their past and future; afternoon work with a group of 15-20 students and adults: analysis of school surroundings, conceptual work in four groups on selected elements of the plot, modelmaking; material acquisition and realization of the landscaping element by the school entrance; exhibition and presentations during Sunday's Big Event. 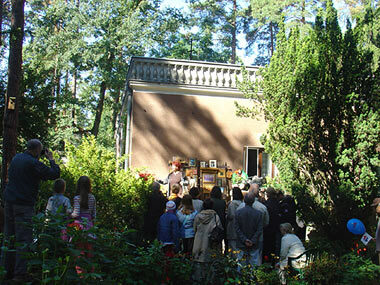 Roles: The Open Gardens events participants were inhabitants of the city (around 1000 inhabitants of overall amount of around 4000 city inhabitants). Inhabitants themselves were also tutors introducing exhibitions, concerts and other events to visitors. 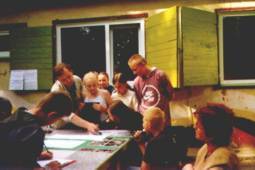 Invited specialists (also international) tutored the design workshops. Their participants were the city authorities, the group of its inhabitants, the students and young architects. -The promotion of the city and its cultural heritage. -The awareness – raising activity by bringing inhabitants closer to their heritage to help them get to know and understand each other better. -Discussion on the future city development. Methodology: The organizers created a kind of events framework that was filled up with inhabitants’ ideas and activities. The city of Podkowa Lesna is located in the outskirts of Warsaw, the capital of Poland. It was founded in 1925 based on the Ebenezer Howard garden – movement idea. The city played an important role in the mid-war time in the history of Poland and its literature. Around 40 events – exhibitions, workshops, concerts, ballet, theatre, film shows and sport competitions were organized during this weekend. The city’s inhabitants invited visitors to their gardens and homes too. Also, four guided tours depicting the city’s natural environment and architecture were led out and the competition on the city’s history and tradition was organized for pupils of local schools. Its results were announced during the opening of the exhibition on the city’s history. The design workshops introduced with guest lectures resulted with the ideas for the future city development and its cultural heritage promotion. Outcomes: The events resulted with the integration of the city’s inhabitants, its heritage promotion and the proposals for the future city development. Evaluation/Feedback: The process of the events organization was a wonderful opportunity for the local community meeting. We were working to raise the awareness of the hometown unique cultural heritage.